Magique Illusionists: If you love magic shows and appreciate the hard work behind grand costumes, Magique Illusionists is the event for you. From January 30 – February 5 at the Niagara Fallsview Casino you can check out Kevin and Caruso as they wow you in your seats! Abba/Bee Gees Tribute Show: On February 17 relive your disco memories by checking out Night Fever a tribute show to Abba and the Bee Gees at the Greg Frewin Theatre. If you want a night full of upbeat, joyful music that will have you reminiscing, this event is definitely worth checking out! Chinese New Year Celebration: With the Chinese New Year starting Friday, January 31 get ready for a traditional and eventful celebration. Starting January 31 until February 14 enjoy various Chinese New Year specialities including a gala dinner, Chinese New Year food, ice sculptures and decorations that represent the Chinese culture. 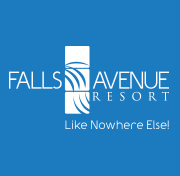 For more details on the celebration visit http://www.niagarafallstourism.com/events/chinese-new-year-celebration-at-fallsview-casino/.